I spent a couple days riding and camping with a close friend in West Virginia this week. The riding was stunning and the friendships rich. One of my favorite things about the trip was meeting new friends. An endurance friend connected me with a guide to help us through a new and potentially dangerous territory. Some of the wilderness can be treacherous for a horse if you take a wrong turn – you can end up in some deep swamps, there are sink holes, tricky rock formations and boulders that can be leg breaking and of course some areas are more fun with more stunning views to ride through than others. Dan was not only a great guide but a very interesting person with an eye always out to learn something from others. Humble, gracious and easy going. We took along a friend of his who had been an endurance rider in Brazil who rode a great little mustang mare, and a woman new to town who works with horses and people to help them improve their tools to connecting. We were delighted to watch her with a green Arab that she was being asked to take on for some fundamental training. It was clear she was someone we could relate to who was working without force, from energy, and looking to create relationships and when she said you’ve lost everything the minute you get frustrated or mad at a horse we knew we’d found a kindred spirit. In the 5 hours together (about 20 miles) we talked easily and enjoyed getting to know each other. It was also a great training ride for Biltmore if I decide to go. Dan set us up to camp at a barn where there was a huge field for the horses and a pretty spot for the humans overlooking the Cannan Valley floor. The second day we rode unguided in the ‘safer’ terrain of Cannan Valley Wildlife Refuge and Blackwater State Park. We missed a turn and ended up farther than we intended for a short ride and called Dan to see if he had any advice on the easiest way back to the trailer. He happened to have a little time right then and we’d dropped into a place accessible by vehicle so he offered to meet us and take one of us to bring back the trailer. It would save time. That was fine for us and would mean getting on the road earlier. It may have been the 20 minutes I relaxed with the horses that turned out to be my favorite moments of the trip. After I pulled tack on both horses I sat on the grass and to let the horses graze and walk around dragging their leads. There were no people, no traffic, and plenty of grass. If either started to leave I would redirect them back, worse case one of them would step on a lead and get themselves stopped long enough for me to catch up. They each took a couple meandering steps and a few bites and within a minute I found myself looking up into two horse muzzles comfortably resting above me. They weren’t doing anything… just looking down on me as I rested sitting on the ground. I leaned back, looked up and wondered. I’ve spent lots of time around my horses loose. They usually graze, or walk around, or sniff me, ask for a scratch, I’ve never had them just stand looking down at me… for 20 minutes. They shifted weight, cocked and uncocked hind feet, sometimes looked a different direction for a moment, but until the trailer rolled up they didn’t move. Bob says that real love, it isn’t about doing things so that you can get something in return. Or in his words collect tickets like at an arcade and turn them in for a cheap trinket… or to add up your own good deeds to tip the scales somehow. The change has to be from within the heart; the thing that creates connection and lasts is the heart that says: I’m with you. That’s all we three were doing at that moment. Being together. My mind floated back to earlier that morning as this idea played out in beautiful layers like gossamer threads in the fabric of life. My friend used to have trailer loading issues with her main horse. Then she got some better tools, did a lot of personal work, more work with her horse, and found she had a reliable loading horse and built a better relationship. Yet recently she began to see some very small signs that things weren’t quite right. He still would load but not as easily and with some of his old habits returning (like rearing up and avoiding before stepping on). She felt like she’d somehow ‘lost ground’. That morning he did not willingly immediately load on the trailer and it created worry, fears, pressure and frustration in her and then there’s that nagging voice we all hear that tells us everyone else has it so much more together than I do. She didn’t want to mess up my day or be the reason we were held up. She didn’t want to imagine that she’s going back to the times she didn’t know if he would load or not. None of us want to feel like a failure and most of all not in front of anyone else to watch. Her horse is not afraid of the trailer. He wasn’t being disrespectful. He didn’t want to fight her. He had some concerns. One of which was Khaleesi. We both knew we could load him in 30 seconds by answering that question: load the mare first. However getting him to load on the trailer was NOT the thing she wanted to solve. We could trick or manipulate him into doing it but that isn’t a lasting solution. She was working toward a relationship with him that he could trust in her to the extent that if she asked him to load up he would be confident in her. She would be capable to trust with the details. Considering what a powerful, sensitive and highly ranked horse he is, this is not an easy job and it takes her constantly being aware of everything – because he is constantly aware of everything. You don’t earn that trust and then float on with it. You re-earn it every interaction. It has to change who you are when you have a horse like that. She has to be that good. 100% of the time. And from what I know of her- she can be that person, in fact I watch her turn into that person a little more every time I ride with them. Thankfully there are few of these kind of horses in the world. Most people have a more middle of the pack animal that isn’t quite as demanding. What I love most is that we all get the horse we need to teach us to grow. There are the really bad fits that need to be sold or given to a better situation of course, but for most of us, the horses we struggle with are growth opportunities if we start by looking not to the horse to change first, but look in the mirror. Then seek out and get the right tools and education to work on ourselves first. but simply: I’m paying attention, I see you’re struggling here, and as you sort it out… I’m with you. That was the other layer. She is a close friend and I cared much more about her opportunity to connect with her horse than anything else that morning. Love doesn’t demand its own way. I’d gladly give up doing any ride at all if that’s what was needed. For her to connect with her horse I would trailer 2 hours then spend the day trailer load and go home if that would help her. And I’d love every minute of the process doing life with her because she’s my friend. She didn’t need to worry about loading her horse AND me getting impatient or frustrated. She didn’t need to wonder what I’d want back from her in trade for my patience. She also knew I’d never judge her journey with this horse- that I knew it was unique to the two of them and not comparable to my own or any other friend’s situation. No matter what we were doing that day she needed to know: I’m with you. This is not a trailer loading post. What she did is not the answer to everyones horse that doesn’t want to load. But we learned some interesting things together because I was able to be a different, outside pair of eyes as she worked with him from her limited first person perspective. It seemed clear he knew what she wanted- and she didn’t need to continue to ask him again. He just wasn’t ready to do it. He would get comfortable part way onto the trailer and most people would ask him to continue on and load up- finish the job- but we observed that even just pointing the direction she wanted (asking again) without any pressure from the rope would send him flying back off completely to restart the process. She’d lose everything just as he seemed ready to load that last few feet. This happened a couple times and my outside 3rd person perspective was able to see it play out and help her with the information. I’m no smarter than her, I just had the right viewpoint. What she was doing wasn’t wrong. It just wasn’t what he needed that morning. He’s a really cool horse- extremely sensitive. This can work for you and against you depending. I suggested she try something different. Just keep him focused on her inside the trailer- and she could do it with only a click of her tongue (he’s that sensitive). Don’t add any more pressure or ask him again to get on. I was certain he was under no doubt that she wanted him to load. He wasn’t confused. He just wasn’t ready to do it. She expertly timed relaxing vs. a tongue click the moment he’d look away and get distracted. Very soft, very relaxed he would inch forward closer to her, paw the ground, sniff inside… one level at a time he continued onto the trailer. I know it was hard sometimes as he was almost there not to ask him to take that last 6 inches and let’s get going. In human terms we’d waited long enough for a horse that is 20 years old and been riding in horse trailers almost all of his life. Even I had a hard time not wanting to push that back foot the last two inches and close the ramp so he was trapped on. That would have destroyed all trust immediately! But she worked out her patience with sweat and blood – it was killing her to be so close but not force or pressure him, get excited that after 30 minutes he was almost there or even think about how close he was until he was ready to close that last gap of his own free will. Its easy to see with horses. We humans are often making the choices for our horses. We don’t even give them the chance. We don’t let them make a mistake. It takes so much time at first to consult them for every little thing we do with them. It seems easier and faster to just push and pull them around. What could have been done in 2 minutes with a shortcut (load the mare first) took her 45. (I was prepared to spend hours or all day!) But the end result was beautiful. He loaded himself onto the trailer for her. Anyone watching would wondered what was wrong. Most people would have offered help. But watching them was a gift for me of exactly what was right. That’s manipulation. We humans are so good at it. We manipulate each other, we manipulate animals, we manipulate ourselves and try to manipulate God. Her message was simply: it’s time to get on the trailer, however you need to do it today… I’m with you. And Khaleesi and I stood quietly nearby saying: and we’re with you both too. I look around… and in the mirror and see so much manipulation hidden deceptively in the clothing of generosity and kindness. I’m a nice/giving/tolerant person… up to a point. But take advantage of me … or disagree with me and watch out. My friend had a limit in her mind of what was ‘enough’ time for him to sort out getting on. At that point she would ask again [he knows how to do this!!! ], add pressure. But her limit was like 35 minutes before he was ready. He needed that time that day and she got a win for their connection by giving it to him instead of demanding that after 10 minutes he was just taking advantage of her and she’d now show him! If I spend today working around the house with my husband then I have saved up enough tickets to go riding all day tomorrow with my girlfriends! The change of heart to simply if I can I will, and because I want to be with you is enough, opens a transformation so much bigger than any act itself. And there is never anything on the other side of the equal sign. I don’t count tickets anymore. Mine or yours. I think this is how hoses live. They do life being with each other. I’ve had friendships along the way where if we happened to be going the same direction then it worked, but both of us were really just doing what we each wanted and basically lined up doing the same things. Sometimes it’s a surprise when you thought you had a deep friendship to find that once you did need someone to be with you… they weren’t with you… they were doing what worked for them still. Or the other way around. It happens both directions. This isn’t necessarily bad. And we can’t do life with too many people this way. I love how Bob Goff suggests you should figure out how many people will fit around your bed so that as you’re dying you have just the right amount of deep relationships that no one is squeezed out and you don’t have too much empty space either. I think he decided its like 10 or 12 people! But this can work with everyone you interact with in allowing yourself to be with the people you are with through your day. Can I set myself aside whenever I’m in someones presence to be with them at that moment and really see them not just what I need from them? There is a magic that happens when you can’t be taken advantage of because you’re actually just giving. Maybe the most ironic part is realizing that you can’t have this heart change if it’s because you want a horse that will load on the trailer, or your spouse to be kinder to you, or because you want anything. Because that is the heart of manipulation again. … and who are you becoming? It’s become curious to me how each post will form as I’m reflecting on a myriad of ideas. It seems to take shape out of one of those geometric images that seems like static at first until you look at it long enough and a clear image begins to rise in 3D out of the noise. And who are you becoming? What bothered (but didn’t surprise) me was how the guides and riders were speaking to their horses. It bothered me enough to talk to the guide I knew in the dream off to the side. I asked if she’d ever considered treating the horses with more respect? The horses are not stupid in fact, they are arguably smarter than these riders… why would she allow them to talk to them using these words? Words have power. We should speak the truths that are positive into our horses as well as each other! I continued explain that when I talk to Khaleesi I tell her she’s smart… that she’s strong, and good at her job. Also that she’s beautiful and perfectly created for me. We are a great team. I cannot imagine calling her a dumb beast. Nor would I want to have a horse I thought was stupid or obstinate. It made perfect sense to me: words can bring life – why not speak what we want to see more of into our horses and gracefully offer help with the rest hoping those things will diminish if we don’t feed them. But she assured me that absolutely, Khaleesi is smart but these are obstinate dumb horses that act stupid. And the group went on their way. I haven’t had a waking experience in recent memory to bring this up into my dream world… in fact I go out of my way not to ride with people who yell at, nag, patronize or talk to their horses this way. To take it one step farther I have found people who nag and complain about their horses often do the same about their family and friends too. The dream seemed to come out of nowhere. That morning I went to church and the reading was about Peter. For anyone who doesn’t know the story, Peter was the ‘rock’ that Jesus said the early church – beginning with that ragtag band of Christ followers and today an entire headquarter city in Rome – would be built on. It’s quite a legacy to have spoken into your life. But he wasn’t always the rock. Yet he was the only one who got out of the boat to walk on the water! Yes, I totally get Peter. This was the passage where he denied knowing Jesus after he was arrested. And once was to a little servant girl who basically had the power in that time of a girl scout today. Yet… this is the guy that Jesus renamed from Simon to Peter. Peter for Petra or the rock. Still Jesus loved Peter and saw his heart and who he would become with a little encouragement and help. He didn’t chastise him or make him feel stupid… he saw what Peter could be and that was what he spoke to him. This tied into my dream too well to ignore and I began to ask how I can apply this in my own life. I find it easy to do this with my horses. It always seemed strange to me to yell at or fight with a horse…. But what about humans? It’s probably both more difficult and more important how this works with them. How does this show up with my husband, my mother, my friends, what about the people I find hard to love? The ones that I find myself easily annoyed by? The ones who I don’t understand at all? The ones that creep me out? The ones that actively try to make my life more difficult? What else would you expect from her? And what about the turn around to ourselves as well which is even more painful? When we see our own faults and how we disappoint ourselves. Most often this is what’s going on deep down- but lashing out is what we see but it’s usually a reflection of the silent lashing in. I look at the times I let myself down. The tendencies I have that I want to grow past. And I think how I’d like to be extended a little extra grace when I fail once again into selfish old thoughts and habits and get up to try again. Who am I? And who am I becoming? The realization that we are all struggling through life doing the best we can might help me walk in a little more grace and remember to find the positive words to speak into someone else. We’re on a lifetime journey. None of us arrive in tact. We’re all broken and wounded and trying to sort out how to function. To allow those around me to fail me, to disappoint me, to be rude… to not consider my feelings, to say things that hurt me, try to manipulate circumstances… say unkind things about me (true or made up…) and then to make my choice to not allow myself to define them by that. I can find the positive things and encourage them toward those strengths and speak (internally, to them AND to others!) positive things into their lives. To all of them I want to extend that crazy bold grace that speaks to what they can become. And I’m not Jesus- I don’t know their future. This means I don’t get to decide they’ll ‘never change’. I want to be the one who refuses to only go ‘up to a certain point’ then write them off for ‘bad behavior’. Not to give them three strikes and they’re out. To be willing to take the radical risk to believe the best and to use the power of my words to encourage the best as well. 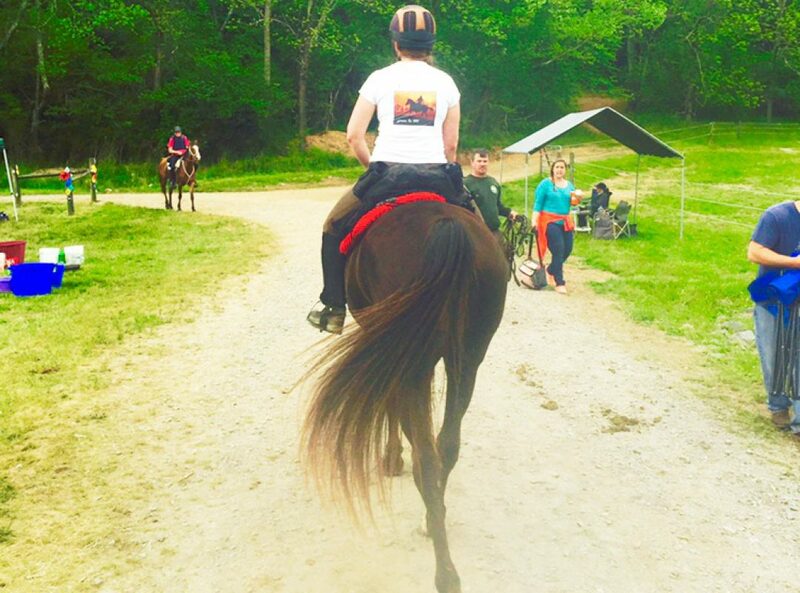 This is what love does… with my horse, my husband, my friends and my enemies (or since I choose not to have enemies I’ll use that word for people who don’t like me, or who I don’t understand or agree with). Love is not afraid of looking foolish. Love is not being afraid someone will take advantage of me. Love is not making sure I protect myself from someone who might try to hurt me…. Love is wondering what the other person feels before getting my own hackles up and being offended. And trying to see the world how they see it- even if I don’t quite agree. Love bears all things. Love hopes all things. Love believes all things. Love endures all things. That is a radical way to live. There was a massive convergence on this concept this weekend for me. It’s been building for me… over a lifetime but more intensely in the recent months and it seemed to erupt like a volcano that’s been building gradually and quietly under the earth for years. I love looking at all the pieces that were orchestrated over about 2 days that pushed the realizations to the surface. One more piece of evidence for me that this isn’t random universal juju. I’m too scientific in my mind to accept those odds. I’d once again turned down invitations to ride with friends on Friday to go solo and explore some new trails with Khaleesi. It’s something I’d been wanting to get to for months but needed a whole day’s time. Also it had to be alone. I wasn’t sure what I’d find, how long I’d be out, what the proposed trails would be like, and if things got ugly I prefer not to be responsible for bringing someone else into iffy conditions- I prefer to decide how to proceed with only myself and my horse in the equation as I know what we’re capable of. He said if you can figure that out- and help other people see who they are, and even more importantly who they were becoming, then we’d all be a little better off. The question – though I’d heard it before hit that tuning fork deep in my spirit. The day was perfect- hot and humid, but no rain (which we’ve been overly blessed with this month), the sky was blue with floating white clouds and in the wooded trails were shaded. The mountain laurel was in bloom and the streams were flowing and serene. I set out with my GPS and no plans until dinner at 8pm… I had the whole afternoon. Khaleesi was in fine shape. She looked and felt fantastic. We were clicking along once again together in sync and right from the start she would ask to pick up a trot heading out with nice forward energy. The trails were better than I’d expected. Beautiful, clear, grassy and wooded, rolling hills, varied scenery… we trotted and cantered along finding new territory and marking tracks on my GPS to cobble together a more organized ride with friends once I found where they went and how they connected. I kept going along a new trail for a few miles heading still generally away from the trailer. I’d marked some trails a couple years back that seemed likely to connect with and kept gambling as I rode on (loving what I was seeing) that the trail would turn or there would be an intersection taking me back. At some point the time was running out and I had to decide. If I continued on much longer I was going to end up in the next town over… not the back at the trailer and home in time for dinner. I could either go some miles back along the trails I’d already traveled… or cut into the woods and in only 1/2 mile hook up with a trail that appeared to connect to one I’d been on a couple years ago. The day was wearing later than I was comfortable with… but once you get this far it’s hard to not find the information you waited a year to come for. I decided to try for a cut through. I knew I’d gone farther than would get me back in time going the way I came. The biggest gamble is on the terrain. If it’s not bad then I would be fine. If I hit rocks, cliffs or impeding brush growth I would lose the time off trail and still have to turn back all those trail miles anyway. Khaleesi and I have developed a pretty advanced skill set for this type of adventure so I bet on us and my gps. I looked for the closest spot to traverse and we left the trail. Thankfully the woods in this area were open and and no rock veins as is more common closer to home. Bouldering with a horse is always a bad idea and one thing I’ve learned through experience to turn around from if at all possible. The first section was easy to navigate and took us along a pretty ridge. Unfortunately where I needed to be was down in the hollow and it became more and more clear there was no good way to get down there. I had considered the elevation lines on the gps before making the gamble and they did not appear to be this intense on the screen. The lines looked far enough apart to find a manageable path. As the slope we were traveling got steeper I got off to walk. I risked putting K off balance and both of us sliding together down the side of the mini canyon. I also removed and carried her headstall- bit and was grateful for my rope trail halter and 10′ treeline lead. Along the way I slipped and had to get up again numerous times but my faithful steed did not once stumble. I was slightly concerned especially at my ticking time clock, but not truly afraid. I did my best not to envision getting home well after dark after getting stuck in a detour or worse and only made the decision of where to go next. And then taking that step. Finally at the end of the nose and still no good trail down I was looking into the ravine with the little stream and where my ‘trail’ should be. There was no turning back now. We were getting down there one way or other. I started with some switchbacks hoping for something less steep. Soon it became apparent that we were both going to have to slide the last 20 feet down or so on our haunches. It was too steep for walking switchbacks and in the end falling sideways would be more hazardous than going straight. Thankfully there were few trees, no brush and no rocks which was best of possible conditions. So I started first and stopped myself half way to encourage K to follow (slightly to the side so she wasn’t coming down on top of me). After asking her a couple times and her asking if I was sure, she began to come down. She fared better than I did. When she was almost to me I slid the last half (I only have 10′ of lead line) and she continued on down to pop onto the bottom of the ravine at the little stream. I gave her a moment there to relax and drink. It had been a difficult 1/3 mile and she’d handled it like a mountain goat. I was grateful and proud. She is the perfect horse for me and I am blessed to have been able to build such a partnership together. Not only that but her boots had stayed on the entire time and not caused her any slipping or tripping. Once again Scoot Boots get a win! I zig zagged around where the trail appeared on my gps and was disconcerted that I didn’t find a trail. This was not good news and my heart sank. I’d gotten this far only to not find a trail and the woods were getting thicker. Now my gamble was looking like a bad bet. The cell phone service is bad as well so my life began flashing before my eyes as a husband wouldn’t simply be annoyed at me for making us late to meet our friends (one of his pet peeves and thing he hates about me the most… how I cut things too close. Take chances…) but if I was late enough (and now I had no idea what was going to happen if I couldn’t find trail) and couldn’t get word to him… he was also going to be seriously worried about me which would make him more mad when I turned up unharmed. Unsure if it was good news or bad I eventually found the trail so overgrown with trees and low branches it was almost impassable. I crossed my fingers and lay down on the side of K’s neck and kept my eyes just ahead on the ground as I could and she began to willingly bulldoze through the mess of young limbs and pines. At one point getting a hind leg stuck in a grapevine that I was able to cut with my pruning shears from the saddle. I was grateful for my helmet and branches swept around me and my trusted steed took each step with definitive purpose. Thankfully it wasn’t long until she busted out onto another trail that was clear enough for a 4 wheeler and I sang praises aloud as we began to pick up speed. I also had just enough service to get out a text message to my husband that I was running late due to a detour but all was fine. I still had hope to get back in time for dinner. I was an hour off my intended schedule by the time we made it back to the trailer. I got home and was showered and dressed in 10 minutes to make us just a few minutes late to meet our friends. I apologized and took full responsibility but thankfully it hadn’t been a big deal anyway as we were all catching up with other friends that had also decided to meet up that night. We didn’t even get around to a table for 45 minutes after that. As we chatted with different people a woman new to the area told me and a friend her story of a life where their family never stayed more than 2 years anywhere. She was looking for the ‘right place’ for her family and never seemed satisfied. Then they moved here and she wanted out of this strange little community as fast as possible. However she began to connect with a few key people and it changed her mind. She said she came to the realization that this was the place she had been looking for and meeting me (weeklyas a teacher for her son) was one of the things that changed her mind. They bought a house and have made the decision to finally put down roots so as her older children now almost ready to leave the home… now felt they might have a home to return to. I’d had no idea I’d impacted her this way. The next morning I sat in reflection. Over time I’ve noticed that some people (friends… mentors… even my husband) seem to want to help me conform more to their ideal person of who I should be. I think it’s always done out of a sense of them helping me, but in the end it actually helps them be more comfortable with me. I am sure I’ve done the same. I looked back at the day before as my horse and I took on the ravine and the possibility of not finding a trail and having to make our way one step at a time through the unknown. Alone. You are fearless. You are bold. You love adventure. You are willing to take a risk. You are fully committed. Quick to ask forgiveness and quick to forgive. You are generous and brave. You love big. You are uncontainable and are growing to be even more. A good friend used to describe me when he’d introduce me to people as a force. A force can be good or… not so good. And without realizing it I’d spent a fair amount of time in recent years trying to just be less. Less of a force, less bold so I had less impact and could do less damage. It never felt very good. I don’t think I was successful either. I’ve learned now the answer for me isn’t to be less but to be more: Love. I was created to be this way. And to impact the world around me for the better. I have a purpose that I’m working on finding and then walking in each day and I can only be effective if I’m living fully in who I’m created to be. Who am I and who am I becoming? As Bob Goff writes… I hope I’m becoming love. Because if I’m big and bold and fully committed- I had better be all of that in love! This realization also makes me more interested in helping others become who they are supposed to be. All unique. Not more like me. More like whoever they are created to be. I hope you will consider this- if you already haven’t… and in a world where many want to help you look more like them- instead become more of the unique you that you were created to be too! And now when I hear the advice some give- because they think they are helping. They want the best for me… to be more careful when I jump into things… or to be a little less bold… I’ll love them and give them a hug. And I’ll slide down into the ravine and see if I can’t make a trail!